I’m beginning to realize that I may be challenged when it comes to airline travel. It is very easy when I’m with someone who isn’t travel challenged and I follow their lead. It’s when I’m on my own that it becomes a bit more difficult! I do contend however, it’s not completely my fault. Well, ultimately it is, but rationalization works for me. 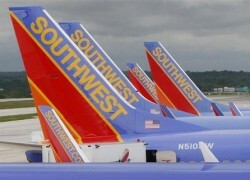 Southwest Airlines is my favorite airline. They are helpful, friendly, give travel points and drink tickets and don’t charge for luggage unless it’s over fifty pounds. You are allowed two pieces of luggage, or one hundred pounds, so you can take several pair of shoes or bring several pair back! You are also allowed two carry on items, one being a personal item, like a purse, then another bag, like a computer bag or such. This allows many to bypass the luggage check process completely. Alas, the one quart baggie ordnance prohibits me from this luxury, but I do have plenty of leeway to bring back items from educational conferences or shopping excursions. Southwest also has a frequent flyer program that allows a traveler to reach what they call an ‘A’ list status after so many trips or now, points. The ‘A’ list provides some perks such as always being in the first 60 to board the plane. It also allows you to bypass long security lines at some airports and you don’t have to check in 24 hours in advance to secure an early boarding pass. I was on the ‘A’ list for two years. It was great. 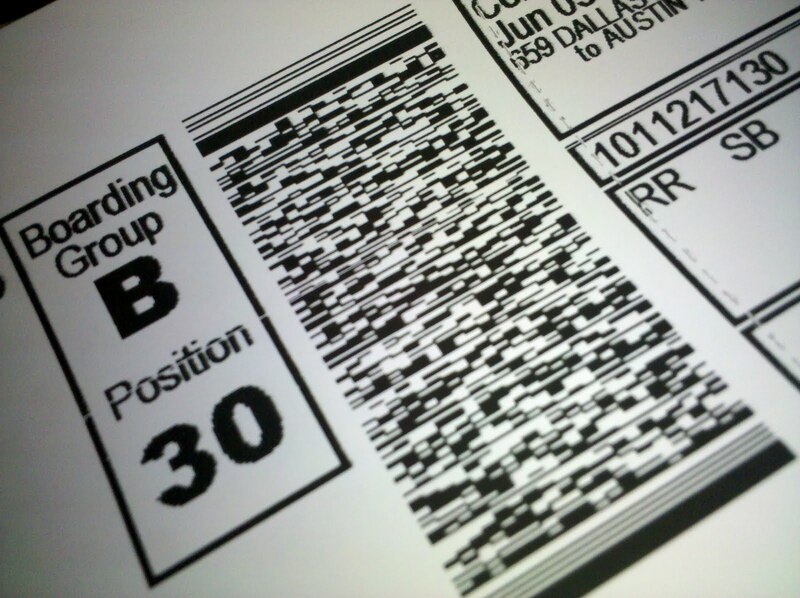 I would watch my travel companions check in exactly 24 hours ahead of their flight only to receive a ‘B’ or higher boarding document. I would retrieve my pass when we got to the airport and smugly get in the ‘A’ line. Alas, all good things come to an end. With changes in job descriptions and budget restraints I didn’t travel as much during the year and I lost my ‘A’ status. 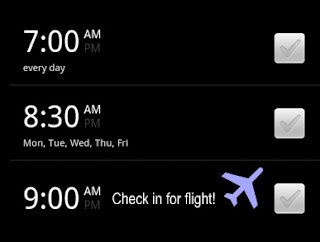 It’s not really a big deal except for one problem; I cannot remember to check in ahead of time! On a recent trip to Austin, as I was driving to the airport, I suddenly remembered I had forgotten to check in. EXPLETIVE! 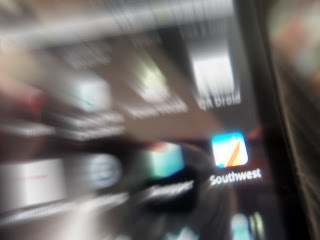 Luckily I have the SWA app on my Droid so I carefully checked in with one hand as I was driving. Fully expecting a ‘C’ boarding pass I was surprised to see a note to pick up the boarding pass at the ticket counter. I had never received that message before! I got to the airport about 45 minutes before the flight was scheduled to leave. Did I mention I might have left the house a little late? It’s a small airport with little to no waiting so I wasn’t terribly concerned. I went to the self check counter to print my pass and it wouldn’t print. I checked my bag and went through security and went to the counter at the gate and got the pass. 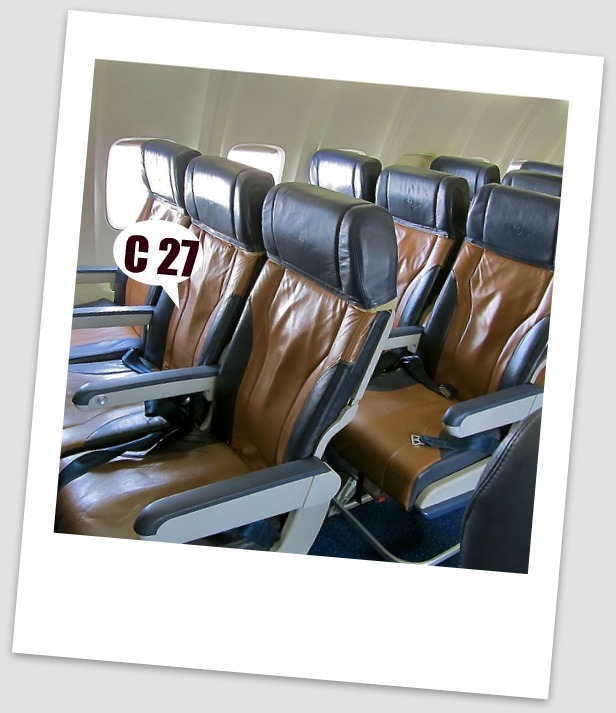 It was C 27, but I was on the plane! I knew I would be a middle seat. When you are a ‘C’ there is little to no eye contact because nobody wants you to sit between them. 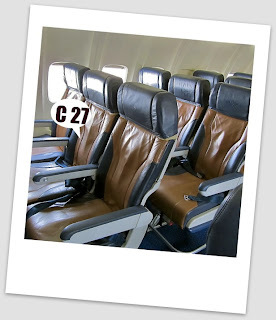 I was lucky and when I boarded the 3rd row had an empty seat. I asked and was granted the space between two nice, thin, women. The trip turned out well with my luggage and I both arriving at the same destination Lessons learned? If you are not checked in an hour before your flight is to depart the airline can (and will) give your place to another passenger. From now on I will set an alarm on my phone to remind myself to check in. It’s also possible to purchase an ‘A’ pass by paying a $20.00 fee. In my case that just might be a good investment, at lest until I can get back on the ‘A’ list! I’m getting tired of doing everything twice! It started with the crocheted Summer Twilight Shawl, continued with the green/blue Bias Shawl and now drifted over to the One Skein, A Stole project. I had a random skein of Noro Silk Sock yarn and it called for Noro Sock yarn. My mistake. There’s about 100 yard difference. So I took it out and found another random skein of Noro Sock yarn and started again. It will definitely have to be blocked. I also got two of my Madeline Tosh's in, Malachite and Dahlia. The pictures don't capture the color. They are both beautiful. I'll plan a project for my next airplane trip! Noro Silk Sock yarn wound in a ball after ripping. I know what the MT dahlia and malachite look like in real life and they are gorgeous colors! Is that Tosh Merino Light? @Miss Bee...I did indeed stay at a hotel I never thought I'd ever stay in! It was worth it.